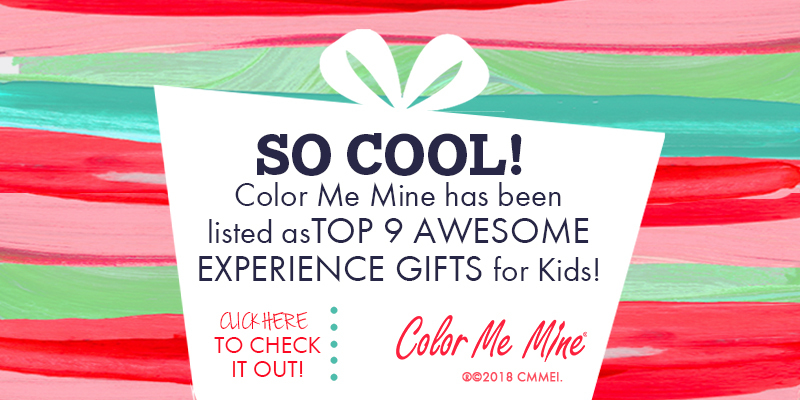 Color Me Mine is voted TOP 9 EXPERIENCE gift ideas for kids! We are flattered to be listed among Parent Magazine’s Top 9 Experience Gift Ideas for kids! This holiday it’s all about gifting a fun experience rather than stuff that gets returned or ultimately lost in a pile. A gift card to Color Me Mine means the gift of creative quality time with friends and family. Kids get to select any ceramic shape they want and paint it any way they like… creating both memories and a keepsake to cherish. CLICK HERE to read the Parent Magazine article.